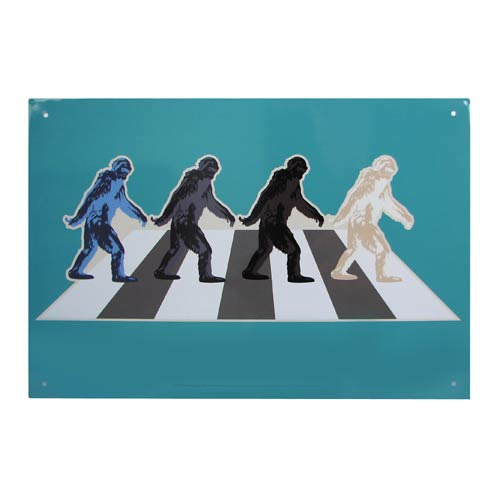 This hilarious take on one of music's most iconic images is sure to be a conversation starter for Bigfoot and Beatles fans alike. This The Bigfoots Tin Sign measures 8-inches x 11 1/2-inches. Ages 14 and up.